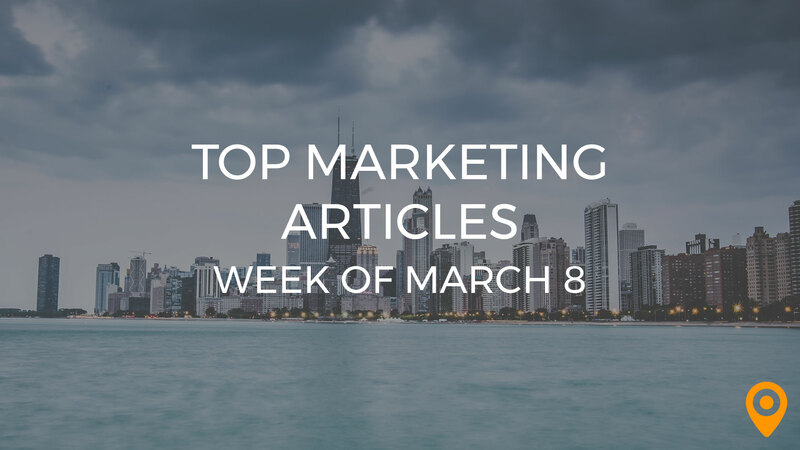 This week’s roundup includes tips to make your business visible in Local Search, make your Social Media strategy more effective, and boost the revenue of your business with CRO strategies. Learn how to optimize landing pages from the standpoint of Mobile, and create engaging Emails that are bound to be opened by customers. We’ve covered all of this news and, much more, below! Kevin McDonald goes over why you should outsource the CMO function at your insurance agency. John Callanta shares tips for designing effective medical websites. Vince Graziano discusses responsive design as a ranking factor for SEO. Follow the Content Optimization tips from Raychale to make your business stand out from the competition. Learn how Content Marketing strategies such as creating valuable offers for a target audience and building a hype on social media can benefit your small business, from Mike Khorev’s blog. Chandigarhkesari draws special attention to the expected Content Marketing trends in the coming year 2019. Megan underscores the need for setting measurable goals, understanding your audience, and proofreading Content, to enhance the Content Marketing efforts of your small business. Petra Kilibarda discusses how voice search, video marketing, and chatbots will trend in the field of Content Marketing during the year 2019. Andy Reese highlights the proven strategies for optimizing your lead capture pages and increasing Conversions. Lexie Lu draws special attention to the CRO strategies that can boost the revenue of your business. Learn how to calculate the Conversion rates of your landing pages and improve them, from George’s blog. Tiffany Harper highlights the key benefits of Email Marketing and lists the Email Marketing trends to be followed in the year 2019. Learn how to create engaging Emails that are bound to be opened by your customers, from Courtney Dobson’s blog. Amreen Bhujwala draws special attention to the metric click-to-open rate (CTOR) in Email Marketing and offers guidance to improve your CTOR. Krishan Kant Upadhyay presents a step by step method to make your business visible in Local Search with right traffic and conversions. Jaydip Parikh offers guidance to optimize your landing pages from the Mobile standpoint and convert web traffic into revenue. Jackie Katz discusses how Mobile first indexing can impact your website and highlights ways to prepare your website for Mobile first indexing. Ryan Esco highlights how SEO can boost your traffic, improve credibility, increase ROI, and provide a competitive edge for your business. Jason Patel discusses how SEO and technology can work together to generate leads for your business. Learn how link building, local SEO, and online reviews can bring about a synergy of SEO and social media, from Phil Horton’s blog. Follow the SEO tips from Susandaigle to rank your website higher in the coming year 2019. Dhariana Lozano emphasizes the need for setting up a content schedule, creating more videos, and setting realistic goals to make your Social Media strategy more effective. Pritesh Darji discusses how Social Media strategies such as creating valuable content and encouraging users to viralize your posts, can improve the visibility of your website. Learn how Social listening, video content, and micro influencers will trend in Social Media during the year 2019, from Taylor Lynch’s blog. Matt Stewart draws special attention to UX Design tactics that can help marketers to improve the readability of text in web content. Jack Dsouja offers guidance to create a good website design with UI and UX concepts. Danny Wong discusses the importance of deliberate website navigation Design and how to improve it. Katie Lundin draws special attention to the expected Web Design trends in the year 2019.